Want to have a party but your patio floor is uneven? Then why not renovate the patio floor or wooden deck floor with our perforated interlocking floor tiles? Our patio floor tiles are 16″ x 16″ x 0.7″ and allow water or other liquids to drain easily. 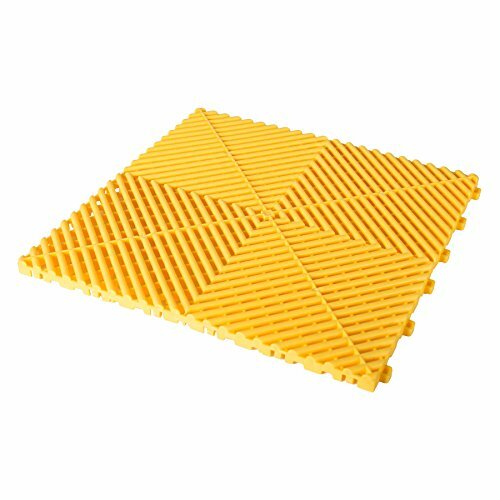 Made of special polypropylene capable of supporting heavy loads, it can conform to a slightly uneven surface and support the weight of furniture. The mesh design allows full air and water flow. Our tiles with non-slip surface design can also be used in residential garages or car wash. The installation for it is as simple as snapping the tiles together like a children’s block set.